The remainder of this tutorial is obsolete! 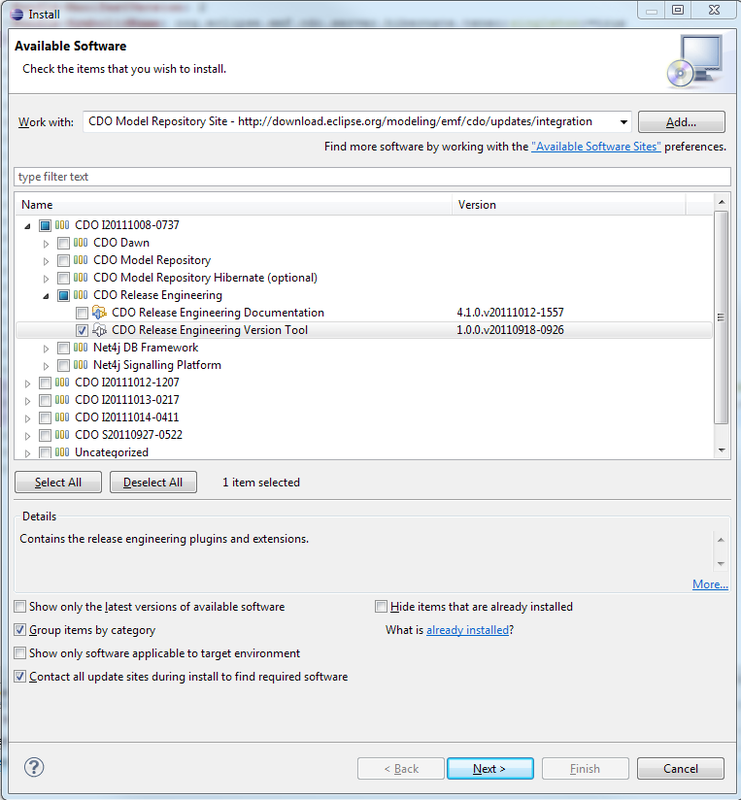 This tutorial describes how to install a CDO workspace using Buckminster. The sources can also be browsed through http://git.eclipse.org/c/cdo/cdo.git/tree. 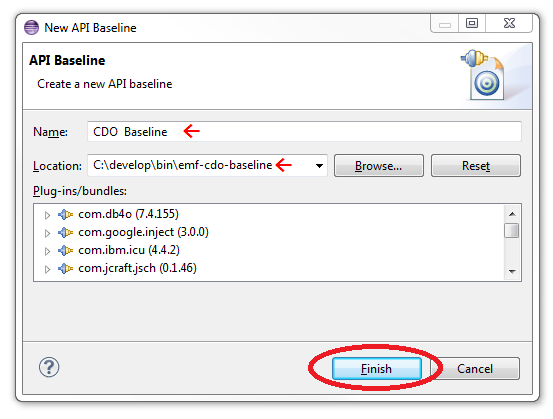 Binaries can be installed or downloaded from http://www.eclipse.org/cdo/downloads. Then open a fresh development workspace. Now you have prepared your IDE with the required tools. 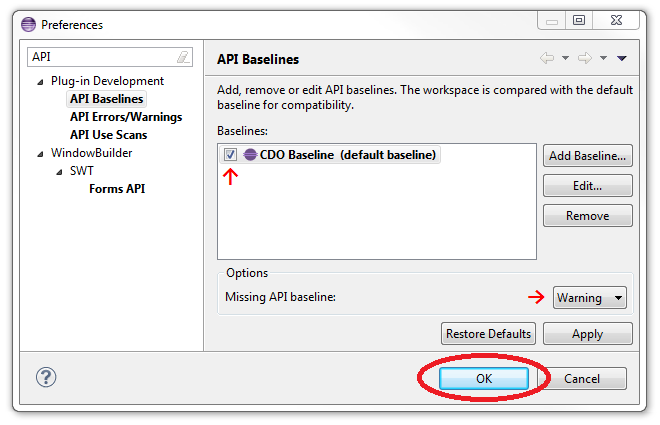 Non-committers may skip this section, but should instead reduce the problem marker severity for "Missing API baseline" from Error to Warning or Ignore (see screenshot below)! Download the 4.2 baseline from https://sourceforge.net/projects/net4j/files/Baselines and extract it to your local disk. 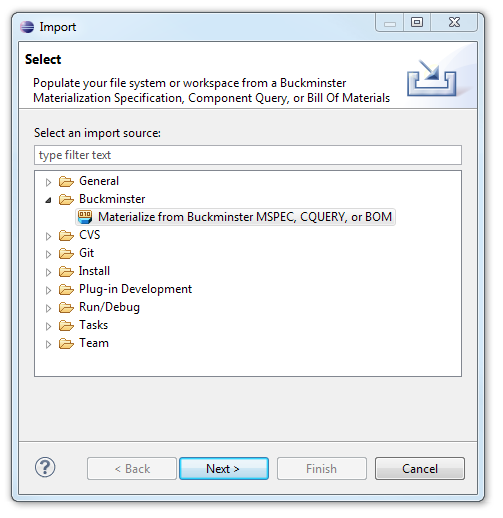 The materialization of the workspace contents (sources and binaries) will be performed by Buckminster with the cooperation of EGit and p2. Point it to the Buckminster MSpec of CDO: http://git.eclipse.org/c/cdo/cdo.git/plain/plugins/org.eclipse.emf.cdo.releng/local.mspec. Press the Load button and wait until Buckminster has resolved all the dependencies (go and fetch a coffee, or two, or three). Finally open the Preferences (Window->Preferences) and go to the "Target Platform" page. 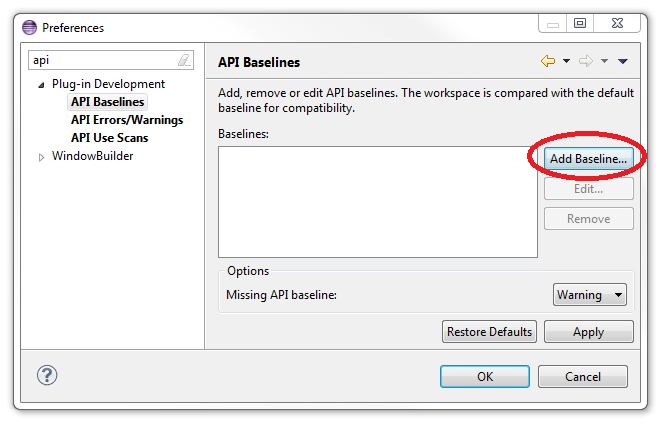 Edit the active target platform and remove the location (not the target platform definition as a whole!) that points to the running installation. Now you're done. 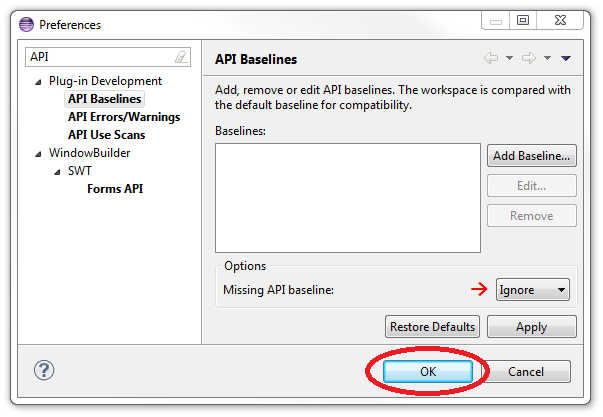 You can update your development workspace by re-importing the local.mpec (right-click + Buckminster + Import...). Then the whole workspace and the target platform are updated. Note, that re-importing does only add new source projects but doesn't update existing source projects from the Git repository. Use the 'Pull' command of EGit for this purpose!